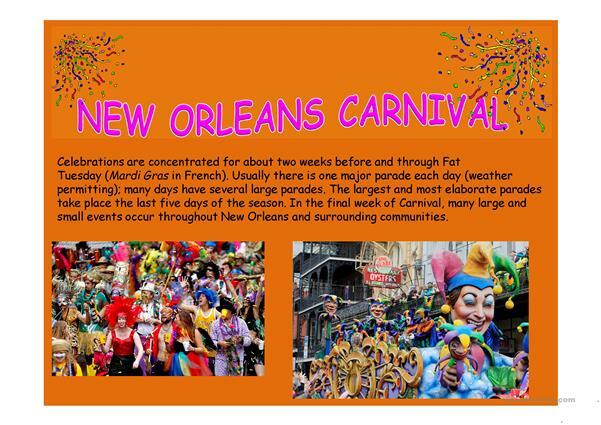 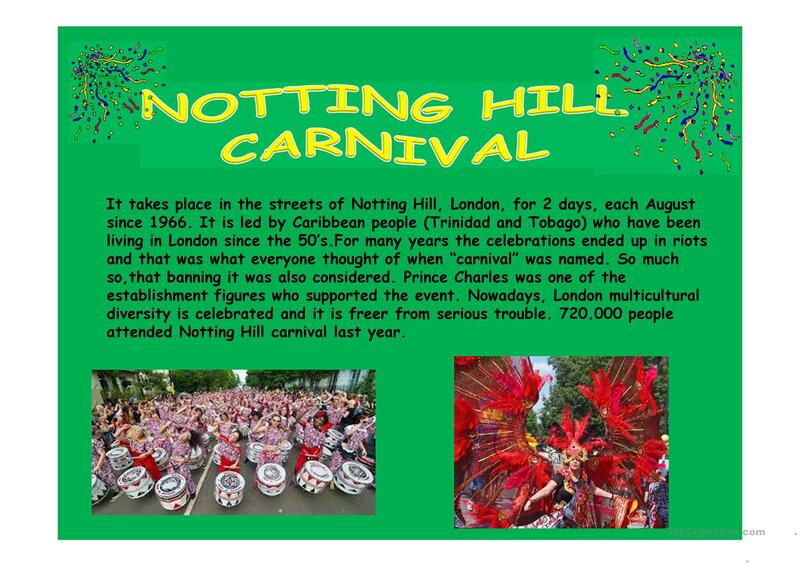 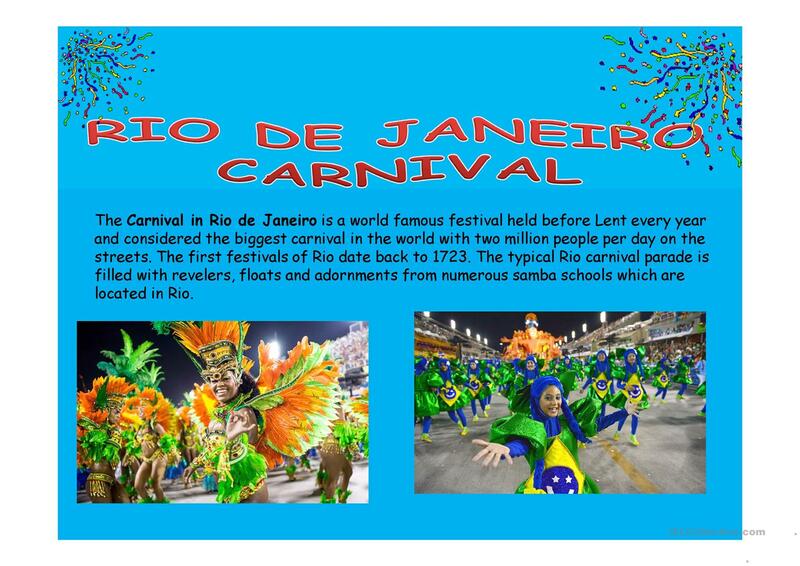 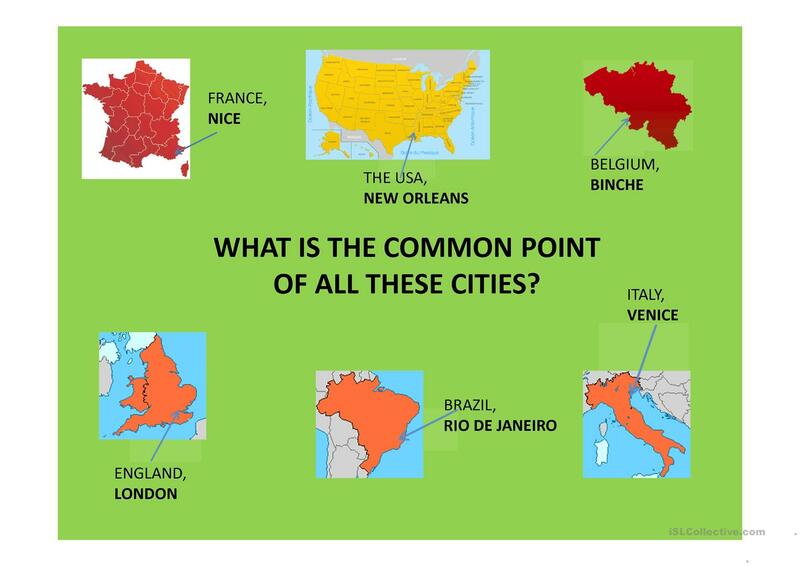 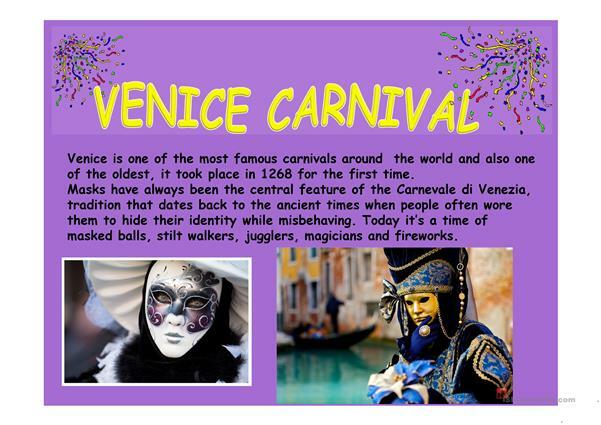 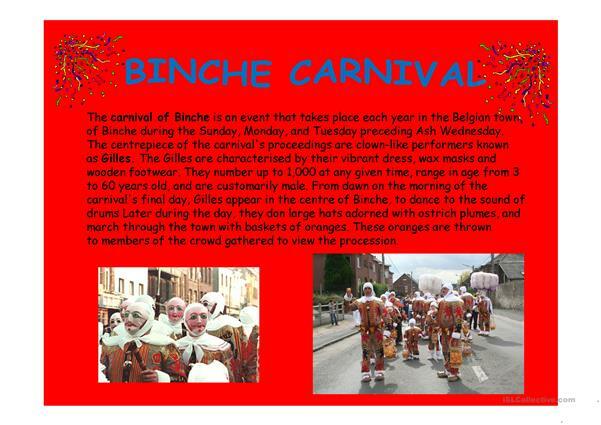 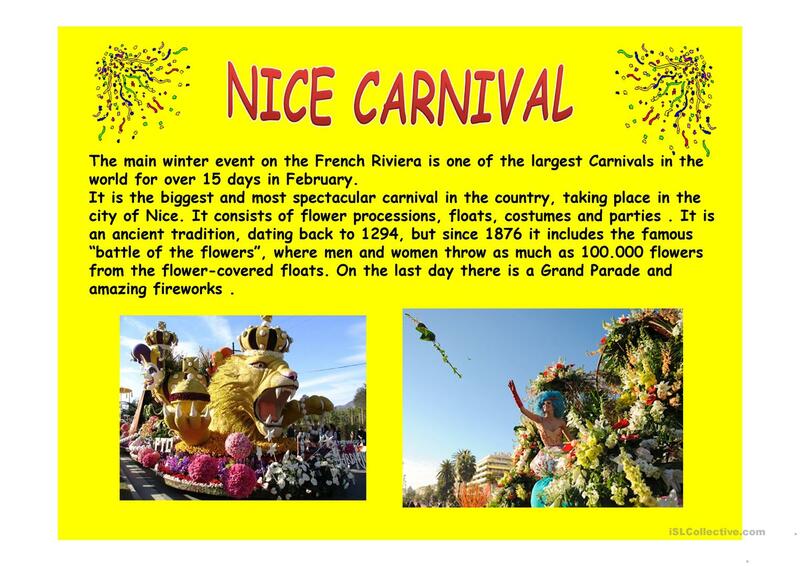 Here is a presentation of the most famous carnivals ( Nice, Notting Hill, Binche, Venice, New Orleans and of course New Orleans) around the world. I used it with my students at the beginning of a sequence. I Hope it will be useful! The present printable, downloadable handout was created for high school students at Intermediate (B1) level. It is a valuable material for strengthening your pupils' Reading skills. 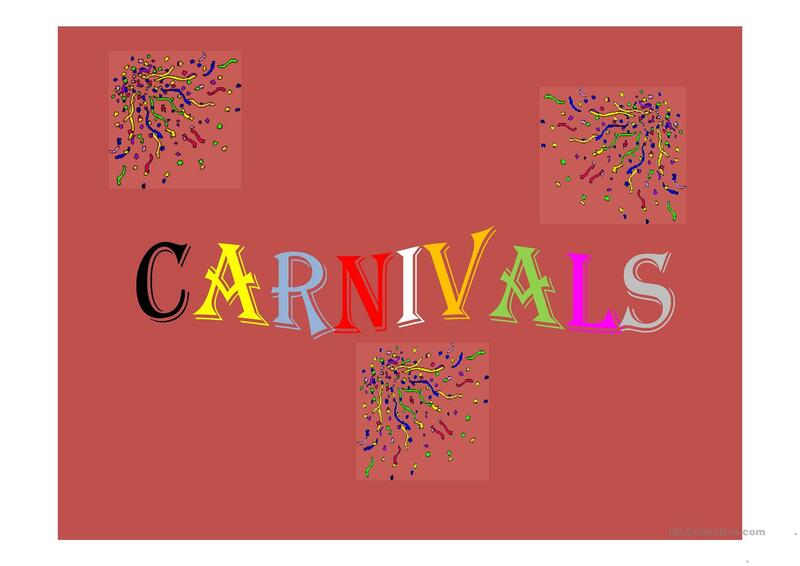 chris18 is from/lives in and has been a member of iSLCollective since 2014-09-10 08:39:53. chris18 last logged in on 2016-06-12 16:33:05, and has shared 1 resources on iSLCollective so far.